Discuss prevailing codes and standards as they relate to improved insulation for better energy performance. Define continuous insulation as a means to achieve an environmentally sound structure. Explain various code-approved options in minimizing thermal bridging and how they lead to improved sustainability in today’s buildings. Identify rainscreen attachment systems from an energy-efficiency and green building standpoint. The certainty that evolving energy codes will become ever more stringent is on par with those other two irrefutable inevitabilities: death and taxes. 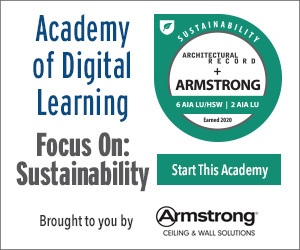 New ASHRAE standards released earlier this fall incorporate major changes to requirements regarding building envelope, lighting, mechanical, and the energy cost budget and, while they may not be adopted by the states for several years, they do signal that the push continues for architects and manufacturers to ramp up solutions for energy-efficient design. 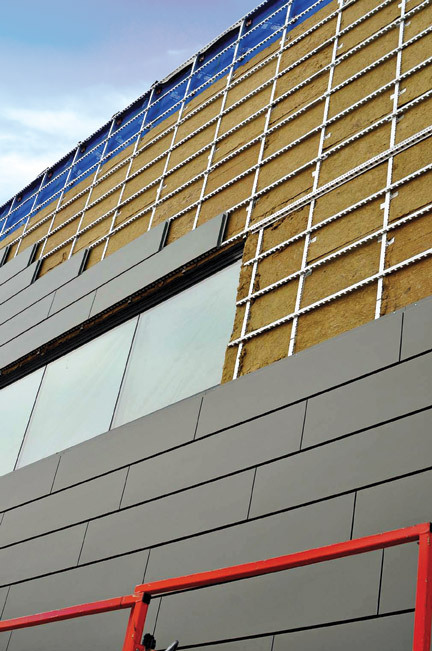 In terms of exterior insulation, design and construction professionals have long struggled with how to achieve the requirements of prevailing energy codes, settling upon the use of “Z” furring strips, or girts. With the introduction of continuous insulation requirements, however, the once-beloved simple “Z-girt” is no longer a viable option. This article will examine requirements of current energy codes, exploring the root cause of why traditional means of exterior wall construction no longer comply. New solutions for steel-framed exterior wall assemblies will be discussed and evaluated in terms of energy efficiency and cost effectiveness. Driven by escalating energy costs and resultant increases in building operating expenses, energy codes are becoming increasingly stringent. According to the U.S. government, there are more than 5 million commercial buildings and industrial facilities in the United States. Combined annual energy costs of those structures exceed $200 billion—and as much as 30 percent of that energy is used inefficiently or unnecessarily. If the energy efficiency of commercial and industrial buildings improved by 10 percent, more than $20 billion could be saved.